The LAMPE team has been on hiatus for the last few weeks of the summer, but with a return to classes and regularly scheduled programming, we hope to post more regularly about the work we have been and are doing at the moment. 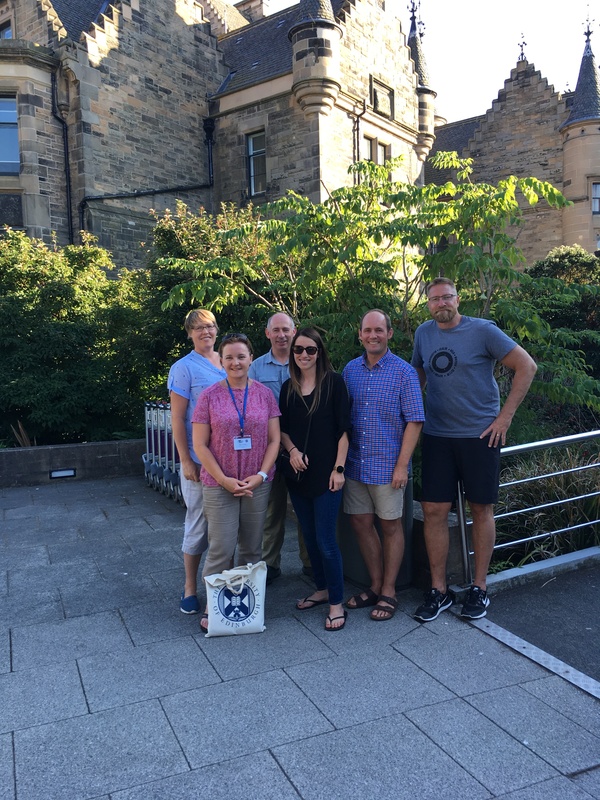 To provide an update of our most recent work, we returned not too long ago from the AIESEP World Congress in Edinburgh, UK where we had the privilege of presenting in numerous sessions. Links to the slides from these presentations as well as the accompanying papers can be found on our Presentations and Publications pages or by clicking on the links below. We kicked off the conference by hosting a workshop at the Primary Physical Education Pre-Conference through which we provided a general overview of the MPE approach, shared some examples and insights from our own work both within teacher education programs and primary physical education classrooms, and invited participants to engage with some pedagogical cases to consider how the MPE approach might be applied to each. We hope to refine these cases to share on the website in the coming weeks. The slides from this presentation are available here. In a symposium entitled Being a self-study researcher in Physical Education: Exploring the interplay of practice and scholarship, Dèirdre shared some of our insights from a study in which we synthesized and reviewed data across five of our previously conducted self-studies to help us understand how Meaningful Physical Education has served as a vision for our practices as both teacher educators and classroom teachers. In this presentation, we shared the ways our visions have developed and continue to change over time in terms of their range, focus, and distance. Slides from this presentation are available here. In addition, Stephanie shared some insights on using the features of meaningful physical education to guide teaching and planning decisions in primary physical education. In this presentation she shared about the importance of the role of reflection both in and on action in prioritizing meaningfulness in her classroom. Further, she shared about the ways students themselves experience the features of meaningful experiences in both the short term and long term and how this realization has influenced her own perceptions of meaningfulness. Slides from this presentation are available here. Of course, no conference would be complete without a little sight seeing. In addition to a busy conference schedule, we managed to find time to scale Edinburgh’s Salisbury Crags. It’s safe to say the LAMPE team climbed to new heights this summer!